The online protest, which prompted a massive amount of lobbying from American citizens (and overseas), was a success, SOPA and PIPA are dead in the water- at least for the time being. Within 24 hours however it seemed as if those two laws had passed and were being enforced- New Zealand Police, colaborating with the American FBI arrested Kim Dotcom, the founder of the website MegaUpload in his mansion north of Auckland. Several other men involved with the site were also arrested. MegaUpload was a website which allowed users to upload large files and share them with others, it was allegedly used for the sharing of copyrighted material without permission from the owners. Of course, copyright infringement was and remains illegal regardless of the fate of SOPA and PIPA. but presumably MegaUpload would have remained online due to the “safe habour” provisions of the American Digital Millennium Copyright Act (DMCA). While the DMCA is not without its own problems- it is the frequent target of protest from groups like the online civil liberties organisation the Electronic Frountiers Foundation- it does protect websites from legal action regarding content their users upload, provided the comply when asked to remove it. This is why Youtube typically won’t remove copyrighted content until they are requested to by the copyright holder. One legal opinion on the role of the DMCA in this case comes from Terry Hart who runs the website Copyhype whose motto is ‘Understanding the Copyright wars’. According to Hart the law has been interpreted as such that it provides protection in the event of civil lawsuits, but not criminal prosecutions. The crack down on MegaUpload is the latter, the state in this instance is not acting as a neutral arbiter between intellectual property holders and a content distributor, but acting on behalf of groups like the MPPA, enforcing laws which were primarily written for their benefit. 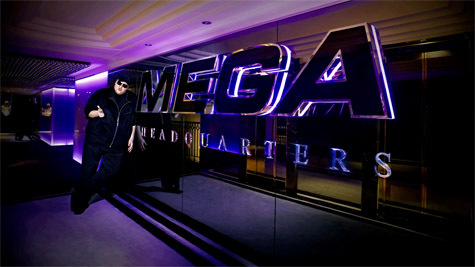 Dotcom, a German-born computer programmer and businessman, founded Megaupload in 2005, shortly after completing his probationary sentence for insider trading and embezzlement convictions. That’s not exactly the sort of altruistic figurehead for economic justice that so many would prefer to see rise to prominence in the “Occupy” era. And to make matters worse, recent weeks have brought to light a stream of outlandish snapshots from Dotcom’s positively Scarface-esque lifestyle. 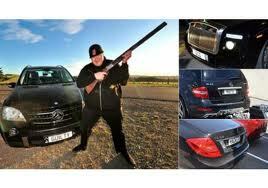 Pictures have circulated of Dotcom proudly tastelessly showing off everything from large weapons to luxury cars, personal yachts to scantily-clad female companions. Everything…simply screams of capitalist excess. Capitalism has reached a point where technology has made existing relations of intellectual property outmoded (see ‘Copyright: A Marxist Perspective in the June 2011 issue of The Spark or online here) but that doesn’t mean capitalist relations don’t come into play in the world of online file sharing. Dotcoms wealth- which is in the millions- is no doubt ill gotten. While MegaUpload operated a more featured paid subscription service, few opted for it and most of the sites revenue came from advertising. Legitimate advertisers tend to steer clear of sites like MegaUpload which sit in the legal gray-area of cyberspace, so its probable that scams and other dubious enterprises provided the money that paid for Dotcoms lavish lifestyle. The idea that we should defend Kim Dotcom because the property relation the old media industry seeks to maintain is past its use by date is akin to to claiming that opposing the prohibition of marijuana means defending the criminal gangs who profit from trafficking the drug. Unlike the group of people behind file sharing site The Pirate Bay, Dotcom doesn’t even present himself as a digital Robin Hood type figure, he is simply a businessman with an amoral attitude toward commerce. The fight against the old entertainment industries should take the form of opposing laws which restrict rights in the name of defending intellectual property, not just SOPA and PIPA but New Zealand’s own copyright laws (see Copyright (Infringing File Sharing) Amendment Bill: A Challenge to Democratic Norms also in the June 2011 Spark and online here) and international agreements such as ACTA (the Anti-Counterfeiting Trade Agreement). When the 8th round of ACTA negotiations was held in Wellington in 2010, the lack of transparency drew criticism from the Creative Freedom Foundation, the Open Source Society and even Oxfam, who were concerned about the effect the treaty might have on developing nations; “The ability for people living in extreme poverty to access lifesaving medicines [due to patents] must be more important than protecting profits for the world’s biggest entertainment and pharmaceutical companies,” commented Oxfam New Zealand’s Executive Director, Barry Coates. Its also important to highlight that the current economic system means most content creators are not actually paid the value of their work, and that by maintaining the way that entertainment is brought and sold, large copyright holders continue to expropriate wealth from the labour of creative workers, who only receive a small percentage in royalties. 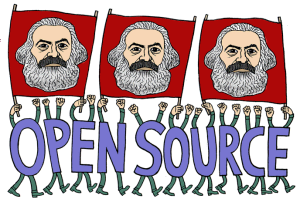 We should also draw attention to examples of post-capitalist style production in areas where we have post-scarcity thanks to digital copying- such as the Free Software Movement and the Creative Commons. Discussing ways in which content creators can be remunerated fairly for their work, and also about how the boundaries between creative work and other forms of labour can be broken down are beyond the scope of this article, but they are discussions worth having. There is no one simple answer for these questions. I’ve raised before the idea that, just as the Bolsheviks adopted the Left SR’s agriculture platform wholesale, so should modern socialists adopt the Pirate Party’s copyright/patent/IP platform wholesale.